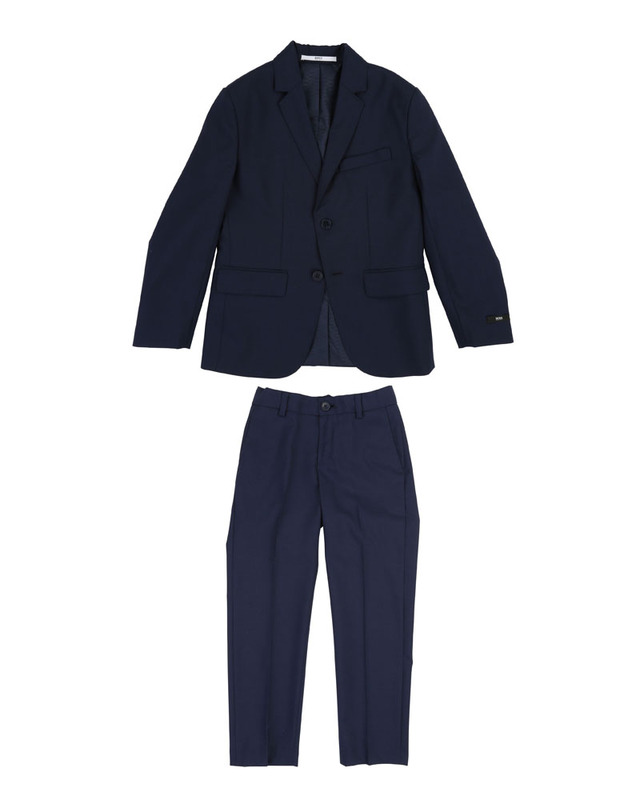 BOSS soft stretch navy two button, two piece suit. Slim fit. 100% cool wool. Imported.